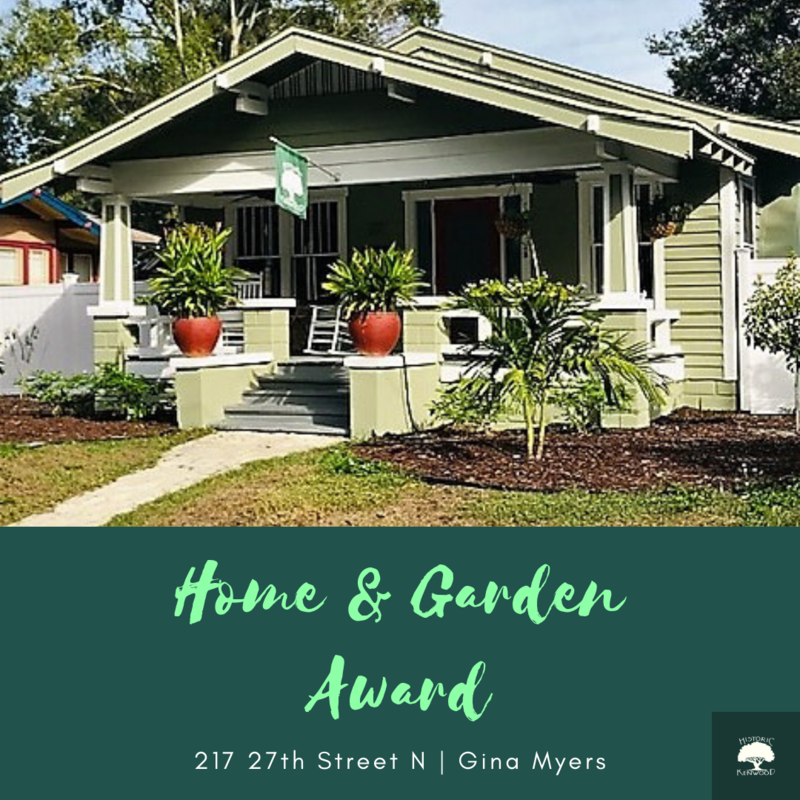 This beautiful home, nominated by Brenda Gordon, boasts a lovely color palate of green and cream with striking new colorful landscaping – all making for great curb appeal! Gina Myers has been working very hard on the house and landscaping since she purchased it in February. “I moved to St. Pete 2 years ago from DC and just fell in love with the city, especially Historic Kenwood! I’m so honored! And my mom who’s an avid gardener is very proud!